Know the benefits of wearing gemstone Ruby, rashi ratna method of wearing, Manik astrological benefits, precious stones according to your horoscope and how to wear manikya birthstone by top vedic astrologers of Delhi Shri Rohit Anand Ji. 💎Ruby Gemstone or Manikya (माणिक़) Stone : This precious stone comes in varied colors from pink, red to blood red gemstone and is used to enhance the beneficial powers of the Sun . The quality of rubies is determined by its color, type of cutting it has and clarity which, along with carat weight, affect its value. The brightest & most costly rubies are of red color red or blood-red or pigeon blood, commands a large premium over other rubies of similar quality. 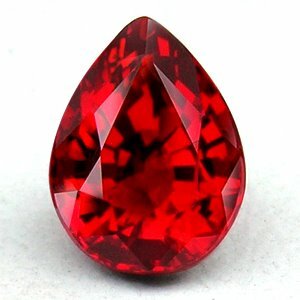 Ruby is also called by various names in India i.e. Manikya, Manik, Padmaraga, Red lotus color gem, Shona Ratna, Red jewel, Ravi-Ratna and Gem of the Sun. Upratnas or Other Substitutes To Ruby : Pink sapphire, Red Zircon, Red Garnet Red Tourmaline. Carat Recommendation : Fom 3 carat or ratti to 15 carat or ratti. The chakra to which it is related is the Manipura chakra and wearing this ratna helps in harmonizing and balancing the energies of this chakra. Mantra of the Sun is to be recited for wearing Ruby on Sunday : "Aum grinih suryaya namah", which is to be repeated 7 times or 108 times for Sun talisman as per the advise of professional astrologer.